Russian TV Lists Nuclear Targets in U.S.
Russian state television on Sunday night listed U.S. military facilities that Moscow would target in the event of a nuclear strike, and said that a hypersonic missile Russia is developing would be able to hit them in less than five minutes. The targets included the Pentagon and the presidential retreat at Camp David, as Reuters reports. South Korean officials today indicated that President Trump and Kim Jong-un could agree on a joint political statement declaring an end to the 1950-53 Korean War when they meet in Hanoi later this week, as the NYT’s Choe Sang-Hun reports. Dive Deeper : “Database: Donald Trump’s Skepticism of U.S. Troops in Korea Since 1990,” by CSIS's Victor Cha and Andy Lim. “More Is Possible Now to Address North Korea’s Health and Humanitarian Needs,” by CSIS’s Steve Morrison. President Donald Trump declared Monday he would participate in a "signing summit" with Chinese leader Xi Jinping as the world's two largest economies edged closer to a trade deal as, CNN’s Donna Borak and Betsy Klein report. Vice President Pence traveled to Bogotá, Colombia today and urged regional leaders to support Juan Guaidó, the self-proclaimed interim president of Venezuela, vowing that the U.S. will stand with the opposition leader, as NPR’s Sasha Ingber reports. Sign up to receive CSIS’s new Sunday morning newsletter By The Numbers. Each week, we’ll share with you some of the most compelling numbers, statistics, and data in our studies. Subscribe here. More than 1,800 US newspapers, including century-old titles that made it through the Great Depression, have closed over the past 15 years. Housed at the Sangnam-ni missile operating base, North Korea's Hwasong-10 intermediate-range ballistic missile has a 3000+ kilometer strike radius. 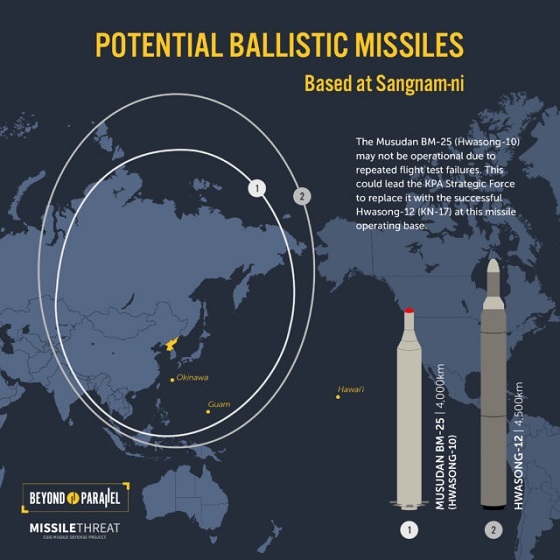 Sangnam-ni is one of approximately 20 North Korean missile operating bases that have never been declared by North Korea. 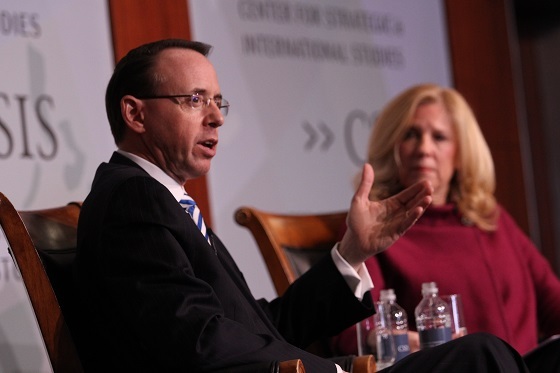 Deputy Attorney General Rod Rosenstein spoke at CSIS today on the importance of defending rule-of-law norms and the contrast between the U.S. Department of Justice's efforts and the Chinese government's efforts on these issues. “Sanctions Were Supposed to Cripple North Korea’s Economy. They’re Not Working,” by the WSJ’s Eun-Young Jeong and Dasl Yoon. At 12:30 p.m., the Woodrow Wilson Center will hold a discussion on the evolution of the U.S.-Iranian relationship and the prospects for the future. And, at 1:00 p.m., the Atlantic Council will host Andrea Gacki, Director of the Office of Foreign Assets Control to discuss the Global Magnitsky sanctions program’s uses, misuses, and lessons for business. Later, at 3:00 p.m. , the Middle East Institute will host a panel on potential future geopolitical scenarios in the Middle East and what’s at stake in the region for the United States and other critical actors. On Friday, CSIS hosted a discussion with scholars, experts, and opinion leaders on the potential impact of the upcoming Vietnam Summit between the United States and North Korea, the possibilities for denuclearization, and regional implications of summit diplomacy for Northeast Asia. Watch the full event here. 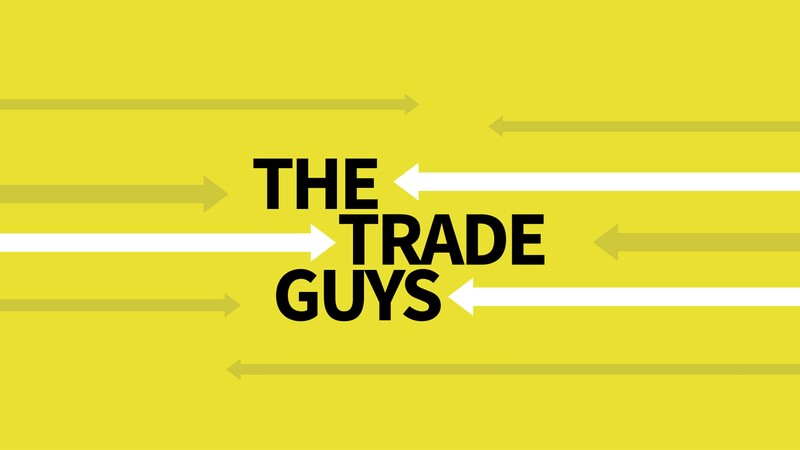 Trade experts Scott Miller and Bill Reinsch break down the buzz around trade, how it affects policy, and how it impacts your day-to-day. This episode was recorded in front of a live audience of members from the LGBT Professionals in International Trade (GATT) and the Association of Women in International Trade (WIIT). Listen on SoundCloud, Apple Podcasts, or Spotify. A couple of things about last night’s Oscars. First, Lady Gaga and Bradley Cooper delivered a performance for the ages (in terms of these shows) and if you still believe in movie stars and rock and roll, as I do, it’s worth watching. Second, Queen and Adam Lambert opened the show with a blistering performance of “We Will Rock You/We Are The Champions.” Queen’s underrated guitarist Brian May looks and sounds fantastic. Great smile.